The oriental cockroach tends to travel somewhat more slowly than other species. They are often called "waterbugs" since they prefer dark, moist places. They can often be found around decaying organic matter, and in sewers, drains, damp basements, porches, and other damp locations. They can be found outside in bushes, under leaf groundcover, under mulch, and around other damp places outdoors. 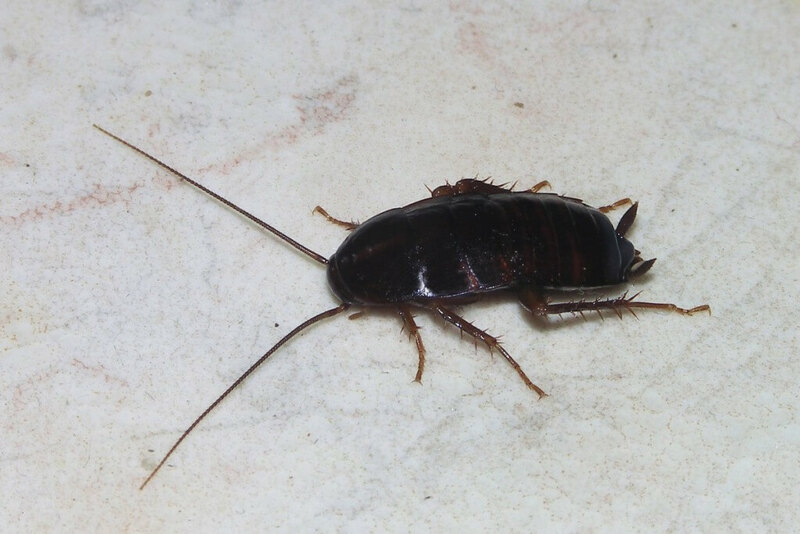 They are major household pests in parts of the northwest, mid-west, and southern United States. Oriental cockroaches can be harder to get rid of than other roaches. Although adults can be fairly easily killed by the application of residual insecticide, the insecticides can get washed away, and two months later females can hatch new nymphs.